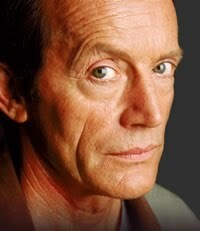 BACKTOFRANKBLACK.COM: Happy 70th birthday to Lance Henriksen!! 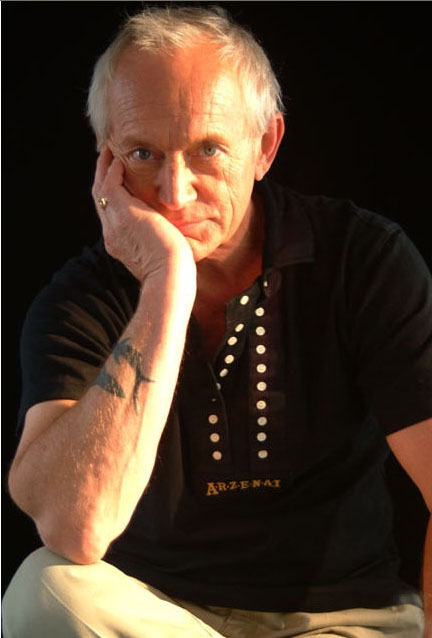 All of us at BacktoFrankBlack would like to wish Lance Henriksen a happy 70th birthday! It's hard to believe that someone who keeps up the demanding schedule that Lance does is turning 70! From Dog Day Afternoon, Aliens, Near Dark, Millennium and the soon to be release film Ambush, Lance has produced a body of work that can be matched by very few in the movie and television industry. Still, with all that work and critical acclaim from many top insiders, Lance remains as humble as ever. Still the consummate professional, still wanting to perfect his craft, Lance has shown what it truly means to be an artist in the entertainment industry. Speaking on a personal note, I have had the privilege to get to know not only the actor, but the man himself. I can safely say that I can call Lance Henriksen a friend. He is truly appreciative of all the fan support that he has received over the years and thanks all of the fans who have done so throughout his 35 years in the industry. But don't fret, Lance isn't done yet, with 3 movies already in the can and several more projects on the way, he continues to stay busy. Right now he can be heard as the voice for the Verizon Droid phone and as he has told me, it is a blast! Although we wanted to do something on a grander scale, Lance asked us to keep it simple. So, all of us at BacktoFrankBlack ask you to take the time out of your busy schedules and leave Lance a birthday message. We know that he will be very happy to see the well wishes from all his fans! Happy Birthday Lance from BacktoFrankBlack!! 10 Responses to "Happy 70th birthday to Lance Henriksen!!" Lance than you for 35 years of amazing performances. You are truly a "journeyman" actor, always consistent, generous and unwavering in your effort to reveal the truth of your characters. Happy Birthday! Alles Gute zum Geburtstag, Herr Henriksen! There's a big celebration at the TIWWA forum in honor of Lance turning 70. Check it out and wish Lance a happy birthday. Happy Birthday and many happy returns, Lance! You're a truly unique talent, so here's to your career to date whilst looking forward to your upcoming work - including hopefully the return of Frank Black in the near future. I was only saying the other day how your autobiography would surely make great reading, given your thoughtful and poetic turn of phrase for starters. Conscious that you're very busy as an actor, of course, but hoping that we may get the chance to read more of your thoughts on life as well as see much more of you on screen too. And all the very best for the future. Happy Birthday Lance. You always have, and always will be a great dude. Thanks for all the great projects you've done - especially Millennium! Happy birthday Mr Henriksen! I love movies, among many other things, but you Mr, you are a truly actor to admire honorably. From my heart, and for many of the most intense moments I have lived in front of a screen, my very best regards from a spanish fan. Happy Birthday, Lance! Thanks a lot for all the great moments you brought to my life, whether through your massiv body of work, your inspiring words about your career, life and everything else or through meeting you in person last year. I wish you all the best in the world and hope to see you soon- may it be on the screen or on another event. Thank you Lance and happy B day! Happy Birthday Lance. All the best.